GO GREEN LUNCH BOX – Review & Giveaway! Whenever I get a new product to try I always try to photograph it ASAP in case something happens to it before I have a chance to review it like a huge pasta sauce explosion. It may sound like I am being dramatic, but if you were at my house this morning you would understand that it looked like a murder scene when the Berbere Stew I was prepping somehow spilled ALL OVER the counter, cabinets, sink, dishwasher door, floor, you get the picture. You just never know, so I always try to take pictures of products right away whether I end-up posting them on Veggie Grettie or not. I was recently sent a Go Green Lunch Box to review and I am so impressed with it. My daughter was super excited to try the lunchbox and was so disappointed every morning that she woke-up and learned I hadn’t photographed it yet. We had been having a string of icky grey days weather-wise and that doesn’t make for good photographs. The first sunny day we had I dropped everything and snapped a bunch of photos. My daughter was so happy to learn that the photos had been taken and the lunch box was finally hers. The Go Green Lunch Box has a lot of features that I really appreciate, however the bento box design is my favorite since it seems to inspire a lot of creativity when making lunches. I had so much fun trying to decide what to put into each compartment and there is so much room! This is not a small lunch box. I could easily pack a huge lunch for my husband in one of these lunchboxes and cover all the bases from appetizer, to main dish, to dessert, and beverage (It comes with an 8 oz. reusable drink container). This is a very well designed lunch box in that the lid has silicone seals for each of the 5 compartments which keeps all of the food and flavors separate. I tried hummus, yogurt, and other sauces and they all stayed within their own compartments with no leaking (However, I also did a soup test and there was some leakage). There is also a locking mechanism on the lid which prevents it from opening and spilling (very smart design feature). In addition the lunch box is dishwasher safe (top shelf), though I find that it is very easy to hand wash. 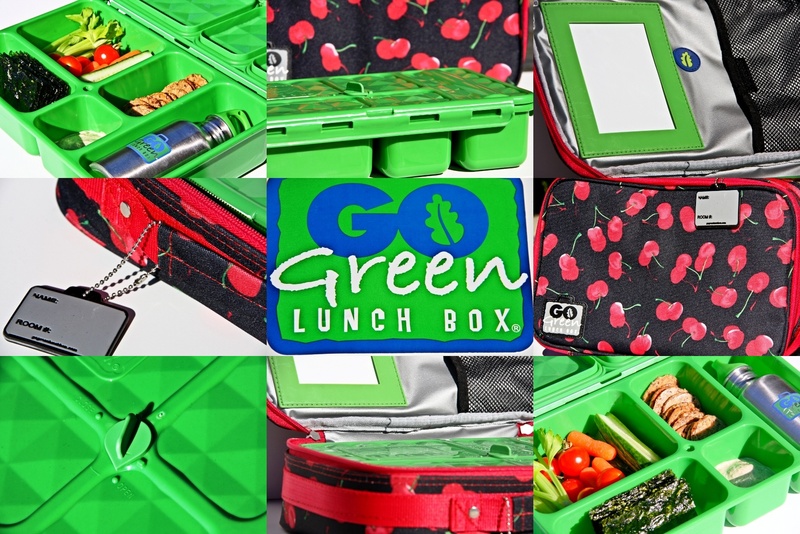 It is apparent that the Go Green Lunch Box was designed by a mother who understands children’s lunch needs; There is even a white board where you can write your child a message! Kim Castner (pictured above), the founder and designer of the Go Green Lunch Box has offered-up a Go Green Lunch Box set to one Veggie Grettie reader!!! 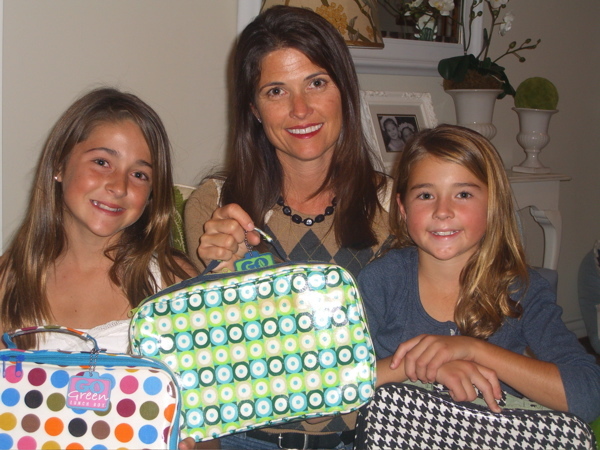 The lunch boxes come in a wide variety of designs (click HERE to see them) and she is allowing the winner to pick the design of their choice. Come back to THIS POST and leave a comment detailing which of the above you have completed and make sure I have your e-mail address so I can contact you if you win. Good luck! This is a great giveaway. To learn more about Go Green Lunch Boxes, visit their FAQ page by clicking HERE. Love the patterns and compartments! This totally solves the many containers and lids problem we have every morning!! I completed 1, 3 & 4…FB was being weird. Fingers crossed!! oops…forgot to say, the “come back to this page” link didn’t work for me it brought me to a page not found. So I just commented above. Cheers! Good morning Grettie! I am already an avid twitter follower, facebook “liker”, and a subscriber… so I tweeted about you 🙂 Thank you! This lunch box is what I’ve been looking for. Looks like a great urban commuter box, or a great bag for my nephew 🙂 Thanks for the review! I just signed up to follow your blog and like you on FB. My lucky day because this is the first time I’ve found your blog, just in time for a give away. My husband takes his breakfast and lunch to work everyday. Since we’ve changed to a plant based diet we have to pack a ton of food for all family outings since we can just go to a drive thru. Something like this lunch box would be great for us. I don’t need to submit for the giveaway because I already have one for both my boys and I love it!!!!! Grettie – enjoy yours! and congrats to the winner!!!! You won’t be disappointed :)! Just “liked” Veggie Grettie on facebook! I would love a lunchbox because my busy schedule means that I am often in class during meal times, and I live on a campus with VERY limited vegan options. Hoping! Hi! I have completed all the steps you requested, most I had already done before! I have 5 kids and would love to try the lunch box! I would get the kaladoscope one- sorry about spelling! Thank you for the chance!! I added on twitter, liked on Facebook, and tweeted:) love the lunch box! Already like Grettie on Facebook and subscribe to the email, hopefully I still get to enter as that lunchbox looks great. I liked on facebook & subscribed to the email. I have been searching for a lunch box, in particular for my son. I would LOVE to try this box. Every day, I pack a lunch for my family members and I am so tired of washing 10 plastic containers every day! This looks perfect. I just completed each of the tasks, I think the lunchbox is awesome! Definitely a great giveaway! This is my first visit to your blog and I cna’t wait to get my first newsletter! Just learned of your blog today. I subscribed to the email and I also “liked” on facebook. Such a cool looking lunch box. Thanks for sharing the review! I’m so sorry, I didn’t realize we were supposed to tell you all of the tasks in one comment! Whoops 🙂 I like you on FB, tweeted, follow you on twitter, and subscribe! Thanks again! Hi Gretchen! I LOVE the lunch box and have been looking for a bento style like this. I subscribed to your email subscriptions and I already “liked” you on FB. 😉 Thanks! love these lunchboxex, and it does inspire to be creative, I completed two tasks, 2. liked you on facebook and technically i already had an email subcription to your blog but i am counting that too! I “like” Veggie Grettie on facebook! Greetings! Sure looks like a cool lunch box. I have wondered about the “bento box” design lunch boxes..I have “liked” on facebook and subscribed to blog. I enjoy your posts very much. Thank you. Hello. I followed Veggie Grettie on Twitter, Liked on Facebook, and entered my email address above for email updates. Please enter me for a chance at a lunch box. Thanks! 1 and 2 Love the colors! Hi! I completed tasks 1 and 2. Thank you for this awesome contest! This looks like a great product. I did numbers 1 through 4. I completed tasks 1 and 2. Thanks for the opportunity! I liked Veggie Grettie on Facebook. Great giveaway! Always excited to find a veg comrade. Completed 1-4. Thanks. Hi, I 1) subscribe to the VeggieGrettie newsletter; 2) “like” VeggieGrettie on FB; 3) follow VeggieGrettie on twitter and 5) e-mailed friends about the giveaway; everything but the tweet; Thanks. I love these lunch boxes! They are perfect for holding lots of good vegan food for my daughter Hallie when she starts Kindergarten in the fall. Right now in Pre K she only is in half a day (no lunch) so when the fall starts she’ll need a lunch box. She loves the green circle lunch box in the middle above. I signed up for the newsletter,following you on twitter, tweeted about the giveaway, and email friends & family about the giveaway. (Though I used my email with yahoo to send out the email. That email is princesseve1373@yahoo.com) If I used FB would have done that too. Wonderful lunch boxes which would be greatly appericated and used on our end! Thanks and have a lovely evening! I completed tasks 1 and 3, thanks! These lunch boxes look really great! And the fact that they are essentially leak proof is a major bonus. I always end up getting a leaky container! I liked Veggie Grettie on Facebook!! Whoops, I also subscribed!! Sorry for the second comment! Hope you love your lunch box!! Its funny because I found your site from searching “healthy school lunches for kids”. I would love to win this lunchbox for my daughter’s school lunches! I am now subscribed to your email updates! I’m already a subscribers and now a “liker” on facebook! Love the patterns..thanks for an awesome giveaway! Would love this for my husband who could use it for his commute via motorcycle. Love the colors and thanks for the giveaway. I liked you on FB, too. Hi! I subscribed via email and liked your page on facebook. The lunchbox looks great! I just subscribed via e-mail. The lunch box looks like it would be very helpful! I *liked* Veggie Grettie on FB and am now following you on Twitter, too! 🙂 Woohoo for awesome giveaways! I did 1 through 4!!! Awesome giveaway!!! Completed #1 and very excited! Completed #1 – 4! 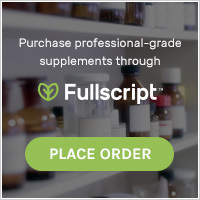 This looks like an interesting product!